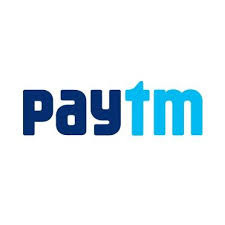 Paytm works with the all mobile operators in all states in India for prepaid mobile, DTH, and Datacard recharges and postpaid mobile, landline, and Datacard bill payments. Recently they came up with there first television advertisement for promoting their business by providing Paytm promo code and Paytm cashback coupons to attract new customers. FLASH500 : Valid 5 timer per users,Valid for all. FLAT10 : Valid 5 times per user,Valid for all. BILLPAY : Avail 3% CB (max 100 Rs) on metro card recharge, water, gas & electricity bills. RUPAY25 : Add Rs 250 or more using rupay card every month and get instant Rs 25 cashback in wallet. Buy Kwality walls cornetto from local market and search for code on wrapper. Now enter this coupon here to get free 20 Rs cashback in wallet. GRAB200 : Enjoy flat 4% CB upto 200 Rs on all kind of recharge & bills (including airtel postpaid/prepaid). Use it 5 times for maximum profit. NEW50 or PAYTMAPP : get 50 cashback on Rs 100+ mobile or DTH recharge.